TV shows, cartoons and more, the way they were mean to be seen -- on DVD! Welcome to my tape trade page. I collect a variety of stuff on video and DVD, and I enjoy sharing it. Even in these days of YouTube, Hulu and instant DVD release availability, I still advocate taping programs from TV and saving them, because you never know what will happen to them post-broadcast: they may be censored, altered and/or withheld from being seen again altogether, for some dumb reason such as "lack of consumer interest," "clearance issues" or "not wanting to offend". This site exists because I believe film/TV historians and fans deserve the freedom to see these programs the way they were originally presented. The embedded, low-bitrate screen just isn't enough for some of us, and there are truly few DVD sets that are done "right". If you have something on any of my want lists, then please let me know. Or, if you have something that you think I'd like, that's NOT listed anywhere on my site, then run it by me first and see what I think. Before you email me, please click here to read my rules. 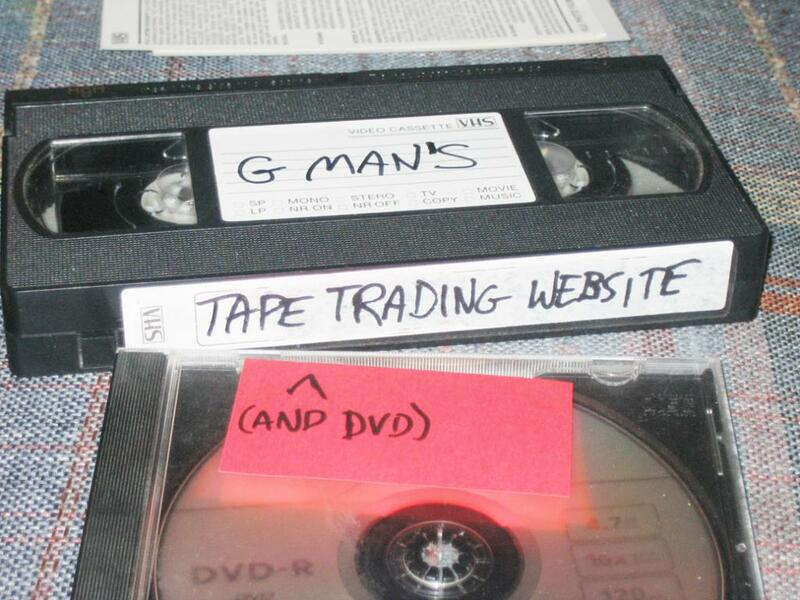 Click here to see my list of tapes which I am willing to sell or trade, but not copy. I WILL NOT SELL ANYTHING listed on this site, but I will accept official DVDs as trade items - it sure beats buying them with cash! To see my DVD wish list, please click here.